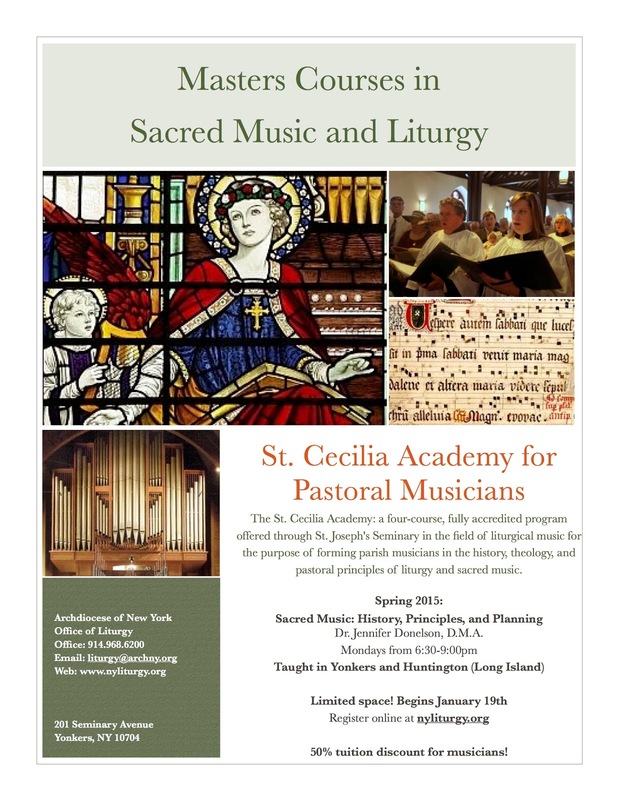 The new St. Cecilia Academy for Pastoral Musicians is an ambitious program, aimed at “the troops in the trenches” — parish music directors. 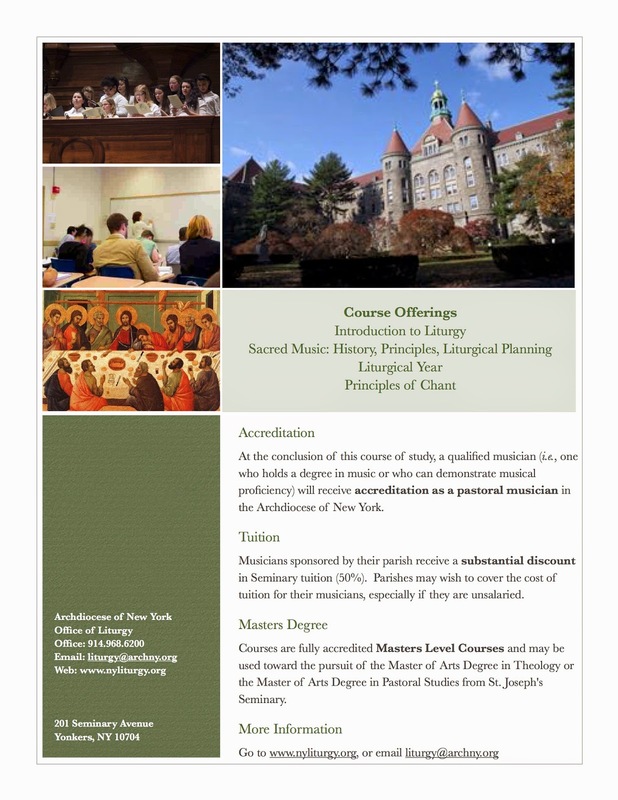 As the new Director of Sacred Music and associate professor at St. Joseph's, I'll be teaching the course this spring semester—Liturgical Music: History of Sacred Music, Principles of Sacred Music, Liturgical Music Planning. The course is offered on Monday nights at both the Yonkers location (Dunwoodie, in-person) and Huntington (Long Island, remote conferencing).